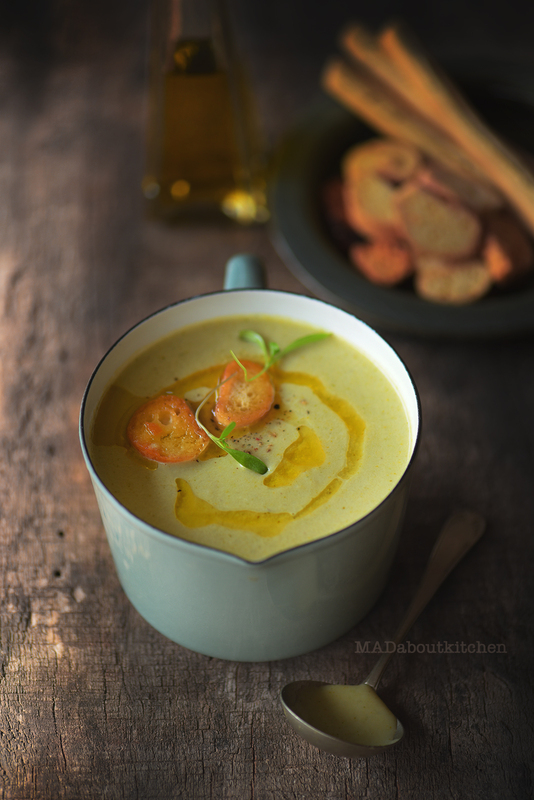 Broccoli Almond Soup is a quick, simple and easy recipe for a creamy, comforting soup with bursting flavours. Broccoli Almond Soup is a perfect for weeknights or for busy weekends. 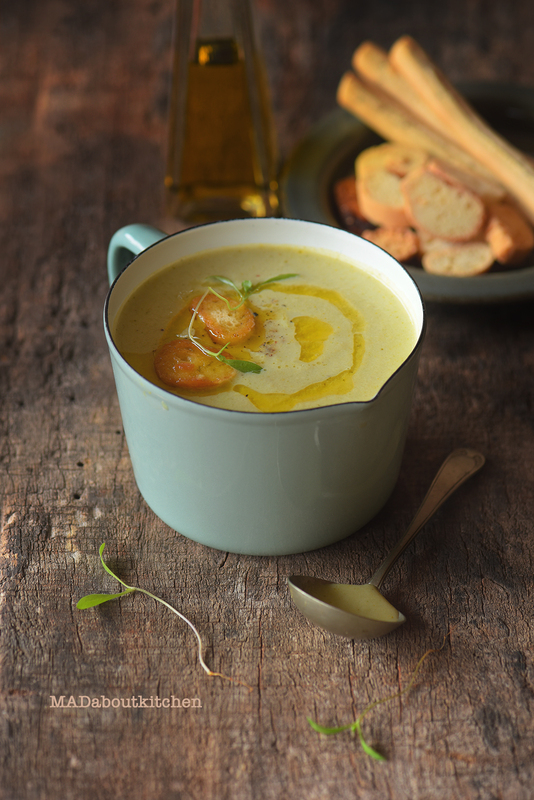 Serve it with freshly toasted garlic breads and it will taste divine. Heat oil in a pan, add crushed pepper, garlic and onion and sauté it till the onion softens. Add broccoli and cauliflower to this and sauté till the broccoli turns bright green. Add a cup of water, salt and let it boil till broccoli is cooked. Let it cool. Add soaked almonds , milk and blend it till smooth. Give it one quick boil. Pour it into the bowl and top it with olive oil, crushed pepper.